A nat'l referendum must be held before any part of Golan or Jerusalem is given away, according to a bill that has now passed a significant hurdle. A national referendum will have to be held before any part of the Golan Heights or eastern Jerusalem is given away, according to a bill that has now passed a significant hurdle. The Knesset House and Law Committees, sitting in a joint session, voted to approve the bill, meaning that it can be raised in the Knesset for its final readings. If it passes these, it becomes law. The joint committee passed the bill by a 7-2 vote, despite the government’s opposition as manifest in its rejection of the proposal in the Ministerial Committee for Legislation. “This bill effectively puts an end to the hallucinations of those who hope to give away the Golan or divide Jerusalem in exchange for empty promises,” Eldad added. Voices of opposition were predictably heard from the left. MK Chaim Oron (Meretz) said that the bill is an attempt to sabotage peace efforts. MK Shlomo Mola (Kadima) took a political jab at the Likud in saying that the bill shows that the ruling party does not trust its leader, Binyamin Netanyahu, not to make a deal with Syria involving a withdrawal from the Golan. As of now, the government is permitted to cede sovereign territory only if a majority of the Knesset – at least 61 MKs – approves. The new bill does not apply to Judea, Samaria, and the Jordan Valley, and would not have applied to Gaza, as these areas were never annexed to Israel and were/are still run under military law. 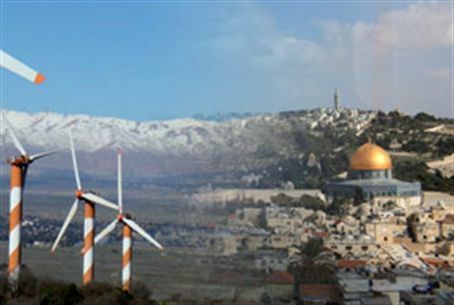 Sammy Bar-Lev, head of the Golan Regional Council, noted that Netanyahu has voted for this law in the past more than once, “and there is therefore no reason why this critically important law should not pass in the Knesset.